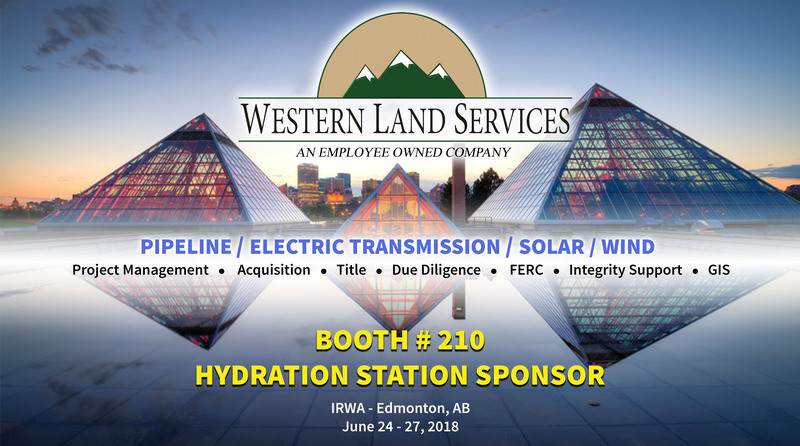 Western Land Services is proudly exhibiting at the 2018 IRWA Conference, as well as sponsoring the necessities – the hydration stations!! Not your typical brokerage firm, WLS is an Employee Owned Company valuing long-term partnerships with our clients. Looking for experienced personnel and best in class services? WLS is your one stop shop for success – bringing Land, Energy, and People together for over 40 years. See our conference representatives on the exhibit floor to learn more about how WLS can support your brokerage needs. Giving back to the community is a core value at Western Land Services. We work hard for our clients and we work hard for our communities. 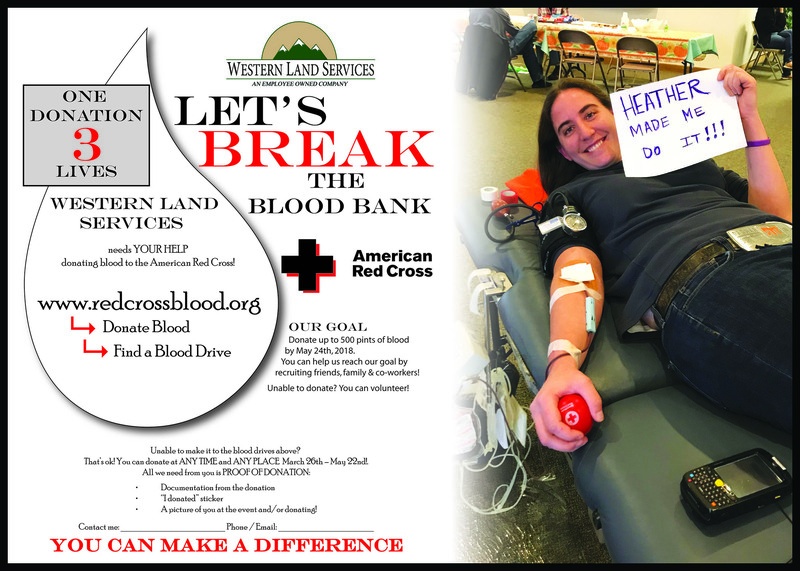 This Spring, WLS has set its sights on donating 500 pints of blood and blood derivatives to the American Red Cross – to be achieved through a combination of WLS employees and staff recruits. Every pint of blood has the ability to save 3 lives!! It is our mission to rally the troops and lay the foundation for not only this immediate goal, but for years to come, the importance of this organization and blood donations. WLS is sponsoring its own blood drive in Ludington, MI on May 22nd and in Canonsburg, PA on May 31st. We are actively scheduling drives in other major locations. WLS employees are also donating Red Cross disaster relief items: toothbrushes, toothpaste, razors, deodorant, shampoo, conditioner, hairbrushes, and washcloths. Over the last five weeks, we have collected nearly 7,000 relief items!!! Yes, you read that correctly – from a company with less than 400 employees. Join us in our pledge to good deeds, to giving back on a local and national level, and to a better future. You can make an impact.